Teachers that specialize in working with students with special needs fulfill one of the most vital roles in society. Their devotion helps students that deal with mental, emotional, learning and physical disabilities to lead more productive lives. Parents of special needs children benefit from teachers too. Teachers often partner with parents in assisting not only their students but also their parents in learning critical skills that enrich their lives. Additionally, the feeling that parents have towards seeing their child finish an educational program is immensely rewarding. These teachers help the students and parents in facing and overcoming hardships and difficulties. Through specified special educational coursework, students are able to achieve goals that normally seem impossible. Hence, special education teachers must have determination, patience and knowledge to successfully teach special needs students. Several universities offer master’s degree programs with concentrations in special education. 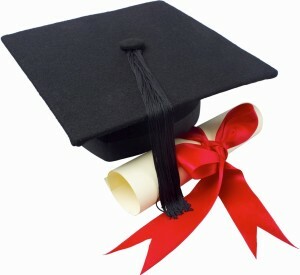 However, the following list will focus on the Top 10 Special Education Master’s Degree Programs in the United States. What is noteworthy regarding these programs is that each excels in preparing students with the skills, strategies and psychological training necessary to advance professional aspirations. Plus each of the programs on this list offer a dedication to their students by providing stellar academics, a long standing history of reputable accreditation, and an experienced faculty. With the arising need in Special Education, schools have now opened their own programs for diversity and even specifications to provide excellent support for teachers dreaming of being an integral part of the Special Education sector. Each school mentioned has its own unique set of programs. Whether if its diversity that you are aiming for, or specific areas of teaching, any of these colleges can help you in reaching your goal. So it falls to you to select your specification. Visit the school’s website to learn more about their programs. Each of the following programs and universities on our Top 10 Special Educaiton Masters Degree Programs (On Campus0 have been selected because of the combination of quality academics, sound accreditation from the world’s top education accrediting bodies, reputation, and ranking by authorities like the U.S. News and World Report, Academic Ranking of World Universities, Forbes, Times Higher Education, and more. Penn State University take pride in its special education programs. Since the national inception of the No Child Left Behind (NCLB) legislation, Penn State’s special education curriculum has expanded. The University’s College of Education offers two types of special education master’s degree (M.Ed.) programs. The first is the M.Ed. in Special Education. This master’s focuses mainly on the classroom teaching and professional aspects of the field. The second is the master’s of science in special education. The protocol behind this program gears towards students who wish to focus their careers in research and academic development. Penn State College of Education holds the 10th spot in the top 20 rankings of the U.S News and World Report. This University offers two types of special education master’s programs – the Master of Science in Special Education and the Master of Education in Special Education. Both options are available on campus or online. Tuition and fees per year for non-residents is $16,074 and $9,557 for residents. 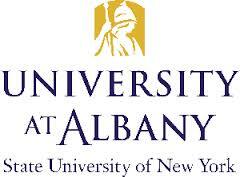 The College of Education in the University of Albany offers highly accredited programs and curriculum. The Teacher Education Accreditation Council (TEAC) accredits their education-focused programs. Their curriculum’s effectiveness rest upon the statistics that nearly 100% of their students pass of the New York State Exams for special education. The College offers five master’s programs; three lead to a M.S in Special Education and two lead to an M.Ed in Special Education. Each program offers different specifications and literacy education for children. With five special education master’s programs available to master degree candidates, students may concentrate their studies upon that which most interests them. Tuition and fees per year for a non-resident is $18,632.50 and $25,942.50 for a resident. The Binghamton State University of New York offers its set of Master’s in Special Education degrees for various ages groups. Enrollees may select from programs aimed to educating toddlers, early childhood, and adolescence. This allows teachers to select courses aimed at specific age ranges instead of disability. The courses are open for either Pre-Service Programs (students who do not hold any certification for teaching) or the In-Service Program (specifically for students who already hold a certificate). The pass rate at SUNY Binghamton for the last three years remains at 100 percent, making this an ideal school to choose for many teachers who desire to work immediately. This University offers two degrees in Special Education – the Master of Science in Special Education as well as a Master of Education in Special Education. Tuition and fees per year for a non-resident are $16,074 and $9,557 for resident. Castleton State College is one of the most populated colleges offering a special education master’s program. They have three master’s programs that features 15 master’s core courses. The college aims to build the basic requirements and key areas in teaching students. This program focuses in allowing graduates to teach children from ages up to 12 years old. Instead of offering separate courses for the ages, the college prepares its graduates to be able to teach at different ages. Castleton offers three special education master’s programs – the Master of Arts in Education with an emphasis in Special Education with Licensure, the Master of Arts in Education with an emphasis in Special Education without Licensure, and Special Education – Consulting Teacher/Learning Specialist. Tuition and fees per year for non-residents are $17,424 and $11,616 for residents. Offering four different master’s programs geared for special education Lemoyne College offers distinct programs and accreditation. There are several programs inclined for special education offered. Students may enroll for Special Education Master’s program for those who are already certified and is looking for a certification in the areas of Special Education or a Master’s of Science course for those who have only completed a baccalaureate degree. Of course, the price of Lemoyne College results in a unique study experience. Opportunities include studying abroad, internship programs and service learning based programs, which often this results in students earning an international level of competitiveness. Leymone offers a Master of Science in Special Education and a dual Master of Science in Education in Childhood Education and Special Education. Tuition and fees are $29,470 per year. An on-campus opportunity for becoming a specialist for mild/moderate intervention specialist is available at the Notre Dame College. It allows enrollees to be able to teach to individuals who have mild-moderate special needs in an environment of K-12. Students may also enroll for a different program aimed at helping their children with disabilities and reading problems in a K-12 environment. This specialization is accredited by the NCATE. Notre Dame College offers internationally competitive courses and is nationally renowned. Notre Dame’s on-campus and online masters programs offer students the ability to specialize their studies within common core, endorsement, and licensure categories. Tuition and fees are $25,694 annually. With a goal to prepare and develop teachers and trainers who are capable of using effective practices, strategies, and instructional materials, Columbia University soars in the study of special education. Columbia University offers a number of master’s program all inclined to the Master’s of Arts (M.A/ Ed.M). Enrollees can choose whether to specialize on the hard hearing or deaf, for intellectually challenged individuals suffering from disabilities such as autism, individuals who have severe or multiple disabilities, and even a Master’s of Education in Instructional practice. This goes without saying that the specific areas of teaching will allow teachers to be able to further specialize their careers with the courses offered at Columbia University. Tuition is $16,074 for non-residents per semester and $9,557 for residents per semester. Clemson University offers effective studies in the field of special education. These disabilities will range from simple learning disabilities to several emotion or behavioral disabilities and other mental disorders. The standards set by Clemson University are acceptable in state and nationwide certifications set by the NCATE. Faculty members of this school are certified ADEPT (Assisting, Developing, Evaluating Professional Teaching) team members. The University continues to adapt by modifying and enhancing their programs to suit the needs of the changing culture of our environment. A Master of Education in Special Education is $6,503 for a non-resident per semester and $3,456 for resident per semester. The candidates of this school can go through two Master’s of Science in Literacy Degrees. The courses available are aimed to instruct students in being capable to teach in a K-6 environment and another course for grades 5-12. Both courses will lead to initial education. The great deal that one can get in enrolling to this college is that both courses incorporate Special Education in their curriculum. This will allow students to hit a lot of birds with just one stone or in this case, one program. The diverse and well-organized programs and courses will allow students to maximize their time in learning a wide range of specialization. Tuition for a Master of Science in Literacy at Keuka or online is $615 per credit hour. For licensed teacher who wish to get a specialization on the areas of Special Education, enrolling in the University of Colorado at Denver will be an ideal choice for you. It allows teachers to learn how to support students with disabilities in various forms. The school honors diversity and enrollees should expect different educational programs which will enable them to meet the needs of their students. The courses are quick and one can even complete it in as quickly as 18 months. This makes this school a popular choice for many teachers and even part time teachers. Graduate tuition for a Master of Arts in Special Education is income and family size based beginning at approximately $7,156 per semester for residents and non-residents. This entry was posted in University Rankings on August 13, 2013 by tjentz.